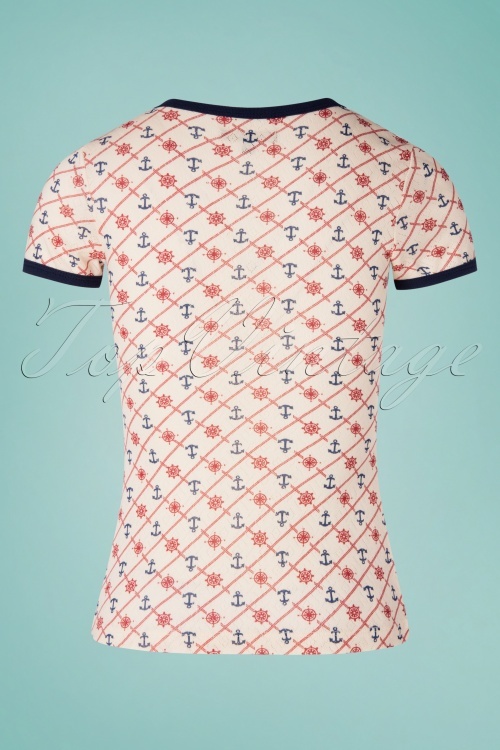 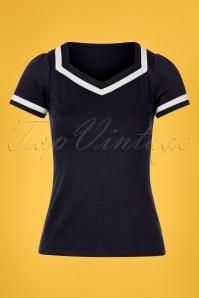 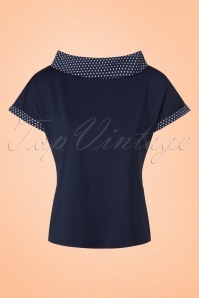 This 50s Portofino Ajour Tee in Pearly Dew is nautical nice! 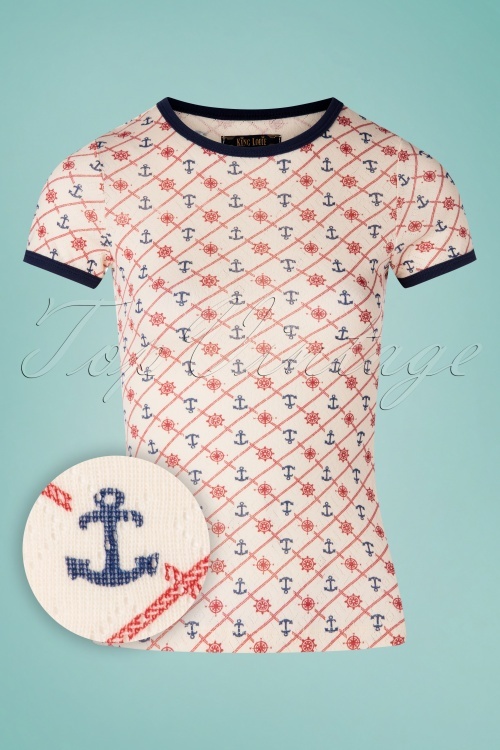 From her dark blue trims and openwork pattern down to her playful red and blue sailor print, she's a real must-have. 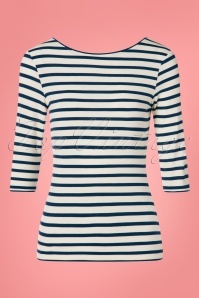 But she doesn't just look fabulous, she's also a joy to wear thanks to the soft and stretchy, cream-coloured 100% cotton. 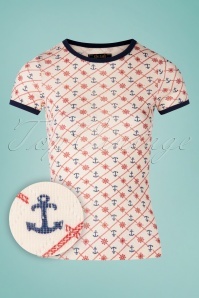 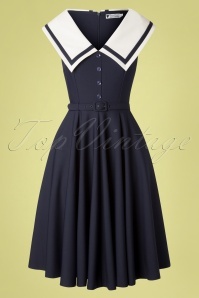 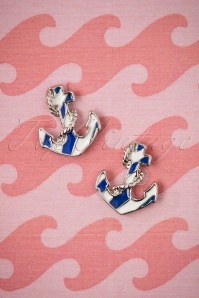 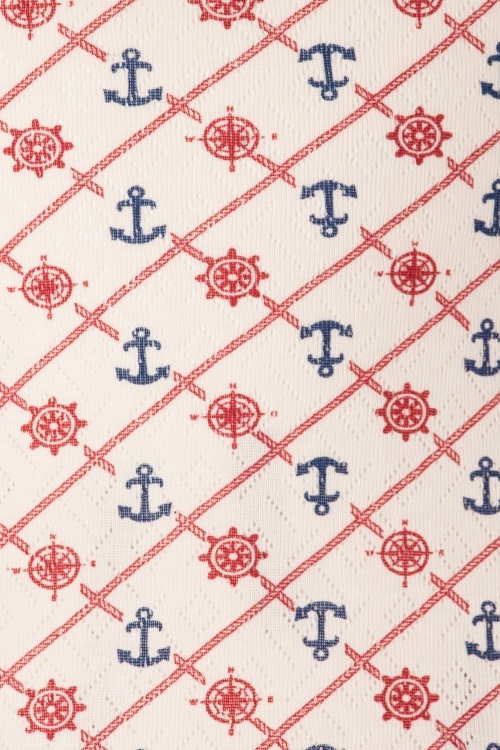 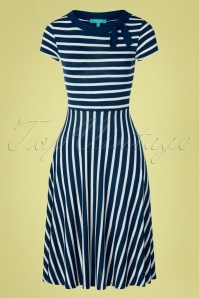 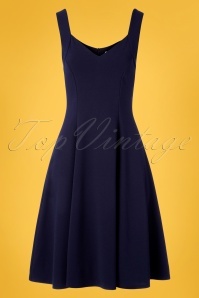 Match with dark blue and red to keep the sailor style alive!